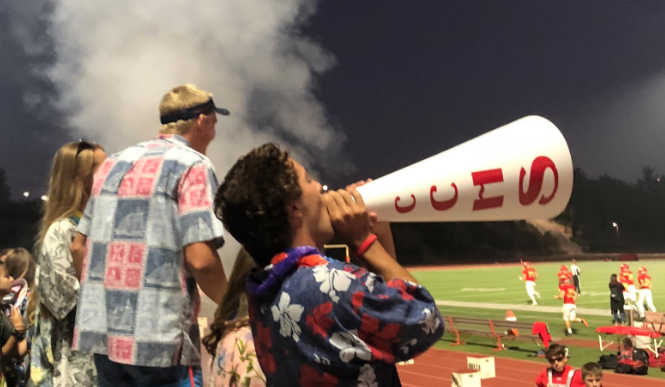 Los Locos leader Jake Rons ‘19 shouts into a CCHS megaphone, pumping up the student section as the varsity football team runs out onto the field to begin its game against James Madison High School. 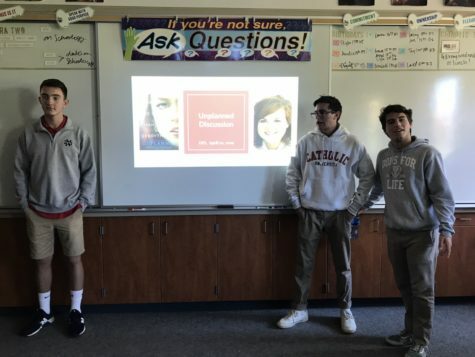 The Cathedral Catholic High School campus was buzzing with excitement last week as the Dons wrapped up Club Week and began freshman retreat. 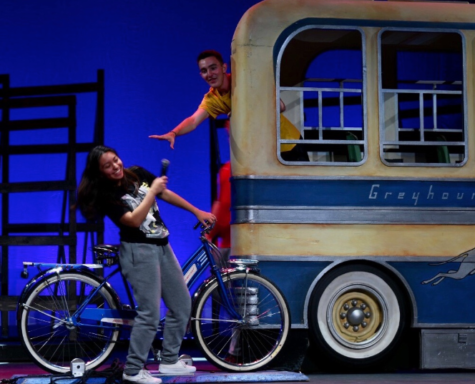 The class of 2022 connected with its fellow classmates at the freshmen retreat, an all-day event allowing the students to get to know each other and their faith through interactive activities. The varsity football team played another successful home game against James Madison High School, taking home a 49-7 victory. 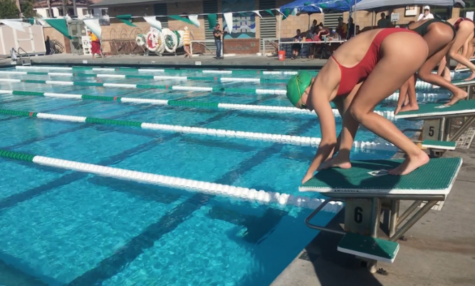 Traveling to Palos Verdes, the varsity cross country team participated in a two-mile invitational, with the girls placing third overall and the boys placing fifth. 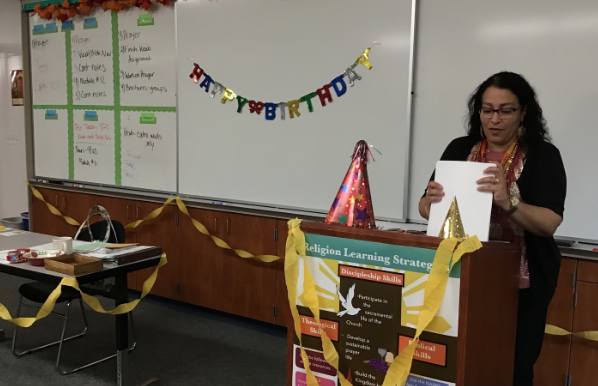 Mrs. Bacich, Catholic Faith 9 and Innovations teacher, stands in her classroom, which was decorated by Miss Laporte, Mrs. LoCoco, and Mrs. Lonergan in honor of her birthday.